It was 25 years ago this spring when the skies 13 miles northeast of Waco, Texas, filled with roaring fire in a government siege gone wrong. When the smoke cleared, more than 70 were dead. Charges and countercharges followed the incident, from Congressional hearings to court cases. 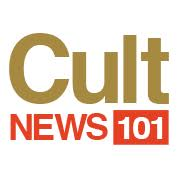 There were also a handful of TV movies about David Koresh, the leader of the religious cult called the Branch Davidians and the siege by the Bureau of Alcohol, Tobacco, Firearms and Explosives (ATF) and the FBI. The most detailed filmed version may be the miniseries that premiered last week on the Paramount Network, the cable outlet that up to recently had been Spike TV. “Waco” boasts an impressive cast that includes Taylor Kitsch of “Friday Night Lights” sporting aviator frames and a mullet as Koresh. Opposite him is two-time Oscar nominee Michael Shannon as Gary Noesner, the head of the FBI’s Crisis Negotiation Unit Gary Noesner. Other cast members include “Supergirl” Melissa Benoit as one of Koresh’s wives and Camryn Mannheim of “The Practice” as the mother of a compound member. The premiere garnered 1.11 million viewers — a success for a smaller cable network in the first week of its new name. In the target 18-49 demo, it tied the episode of the much more publicized “The Assassination of Gianni Versace: American Crime Story” the same night. The filmmakers based the series on a pair of books by participants from inside and out of the siege — Noesner’s 2010 Stalling for Time: My Life as an FBI Hostage Negotiator and the 1999 A Place Called Waco: A Survivor’s Story by David Thibodeau, one of nine Branch Davidian survivors. Thibodeau is portrayed in the series by Rory Culkin. Together the books, and other interviews done in preparation, were meant to show more of what was going on among those living inside the compound, as well as the squabbles between the ATF and FBI leading up to the tragedy. The Dowdle brothers, who previously made such big screen thrillers as No Escape, As Above/So Below and Devil, began by looking into Koresh’s backstory. And there was a lot to tell there. Born Vernon Howell to a 14-year-old single mother, Koresh was severely abused as a child, had a learning disability and was bullied at school. His father abandoned the family for another teenage girl before Koresh was born; his mother began living with a violent alcoholic. Howell became a born-again Christian and joined his mother’s Seventh-Day Adventist church, before being expelled for wanting to marry the pastor’s young daughter. 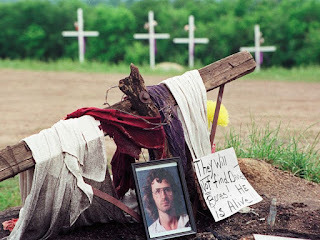 He ended up with the Branch Davidian group, a Waco separatist cult that grew out of the Davidian Seventh-Day Adventists , which he eventually took over after a series of violent incidents. He changed his name to David Koresh in 1990 to refer not only to King David, but Koresh is the Biblical name for Cyrus the Great. Rather than deal with Koresh’s backstory, however, the Dowdles focus on that of his followers, including Thibodeau. “What we read [in Thibodeau’s book] was so completely different than what we expected to read,” John Erick Dowdle told reporters this month at the TV Critics Association winter press tour. In “Waco,” in addition to empathy for those caught inside the compound, there is also an understanding for the FBI negotiator’s role, and how Noesner fought the militarization of law enforcement, a debate still raging today. Noesner bumps up against his colleagues who wanted to make a show of the siege, as a make-up of sorts for the bad headlines that came out of a similar standoff in Ruby Ridge, Idaho, six months earlier. Both botched incidents caused death, inflamed the far-right and were cited by Timothy McVeigh in inspiring the 1995 bombing of the Oklahoma City Federal Building, which occurred on the second anniversary of the Waco fire. The Branch Davidians believed they were living in a time when Biblical prophesies and divine judgement was coming were imminent ahead of Christ’s second coming. A headquarters was first established near Waco in 1935 and at its height, 900 people moved there awaiting a sign from God. Koresh rose to power as a young man in the 1980s, in part by taking its leader, a woman in her 60s, as a lover. When she died in 1986 at 70, there was a power struggle between her son and Koresh. Upon ascending to the leadership position, Koresh never claimed to be Jesus, but did refer to himself as “the Son of God, the Lamb” and unlike his predecessors, began stockpiling arms, a departure from its pacifist belief system. About 130 people were living at the compound when the ATF first approached in early 1993. They had been tipped off after a UPS package of grenade casings en route to the compound had accidentally broken open. The ATF tried to execute a search warrant relating to weapons violations and the sexual abuse allegations. The miniseries begins with ATF closing in on Mount Carmel on Feb. 28, 1993. Then it flashes back nine months earlier to establish Thibodeau’s entry to the group — because Koresh’s rock group needed a drummer. “I went to L.A. to be a drummer in a band,” said Thibodeau, who, unlike the smaller figure portrayed by Culkin in the film, is a big hulking man 25 years later. Early that Sunday morning, 78 ATF agents approached in an 80-vehicle convoy to the compound. The raid was not called off when thought it was clear the Branch Davidians had been tipped off by a news vehicle asking for direction. The cultists prepared for the raid. The question of who fired the first shot has long been in contention. Some ATF agents said they heard shots from within the compound. Another suggested an agent’s gun accidentally went off. But the miniseries runs with the assertion that the first shots were those fired at the compound dogs by the agents. What began at 9:45 a.m. ended at 11:30 a.m. with four ATF agents dead and 16 wounded; a fifth was killed later in the day. Five Branch Davidians were killed. It was the longest gun battle in U.S. law enforcement history. And the ceasefire came only because federal agents were running out of ammunition. The siege consumes much of the third episode of the miniseries. The tense, 51-day standoff with the FBI, which took over government operations, culminates in a tear gas attack on April 19 and the apocalyptic fire that killed 76 at the compound including Koresh. An internal Justice Department investigation concluded in 2000 that the fire was started from within; other interpretations, including a 2000 film by then little-known conspiracy mongerer Alex Jones, America Wake Up (Or Waco) contend it was the government. How “Waco” deals with the aftermath of the fire, who caused it and whether it was set by the cultists as part of a violent, Biblical-inspired endgames, remains to be seen -- just three episodes were made available to the press in advance. But based on the source material, Thibodeau has maintained that the Branch Davidians did not start the fire itself, as the resulting Justice Department report in 2000 claimed. And Noesner has little to add to that debate, having left Waco three weeks before the raid, after freeing 35 people, mostly children, from the compound. Many of the main characters of “Waco” are based on real people, including Koresh’s lieutenant Steve Schneider (Paul Sparks), local radio personality Ron Engleman (Eric Lange) and the compound lawyer Wayne Martin (Demore Barnes). But John Leguizamo’s character — an ATF agent that got close to the compound by moving next door — is named Jacob Vazquez instead of Robert Rodriguez, who was the actual undercover ATF agent. “Waco” runs Wednesdays at 10 p.m. on the Paramount Network (formerly Spike TV).